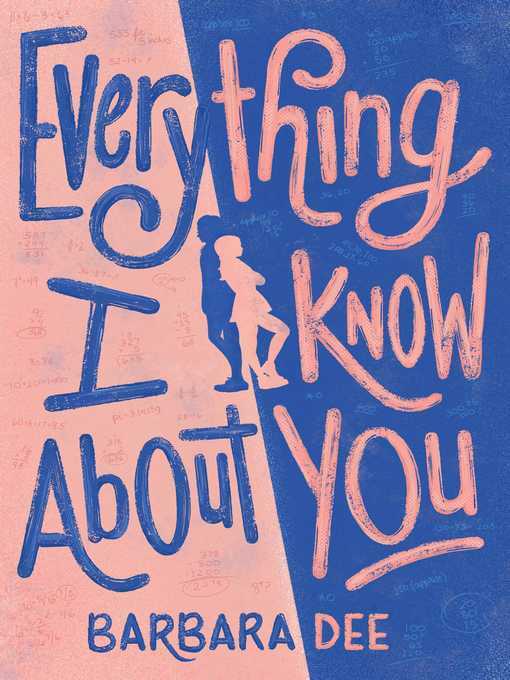 Misfit Tally is forced to room with queen bee Ava on the seventh grade field trip to Washington, DC, and discovers several surprising things about her roommate—including the possibility of an eating disorder—in this timely new novel from the author of Star-Crossed and Halfway Normal. During a class trip to DC, twelve-year-old Tally and her best friends, Sonnet and Caleb (a.k.a. Spider) are less than thrilled when they are assigned roommates and are paired with kids who are essentially their sworn enemies. For Tally, rooming with "clonegirl" Ava Seely feels like punishment, rather than potential for fun. But the trip is full of surprises. Despite a pact to stick together as much as they can, Sonnet pulls away, and spider befriends Marco, the boy who tormented him last year. And Marco just might "like" Tally—what's that about? But the uneasy peace in Ava and Tally's room is quickly upended when Tally begins to suspect something is off about Ava. She has a weird notebook full of random numbers, and doesn't seem to eat anything during meals. When Tally confronts Ava, Ava threatens to share an embarrassing picture of Tally with the class if Tally says anything to anyone about her suspicions. But will Tally endanger more than her pride by keeping her secret? 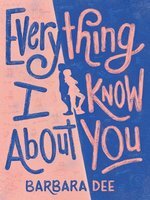 Barbara Dee is the author of several middle grade novels including Maybe He Just Likes You, Everything I Know About You, Halfway Normal, and Star-Crossed. Her books have received several starred reviews and been included on many best-of lists, including the ALA Rainbow List Top Ten, the Chicago Public Library Best of the Best, and the NCSS-CBC Notable Social Studies Trade Books for Young People. Star-Crossed was also a Goodreads Choice Awards finalist. Barbara is one of the founders of the Chappaqua Children's Book Festival. She lives with her family, including a naughty cat named Luna and a sweet rescue hound dog named Ripley, in Westchester County, New York. Copyright 2018 School Library Journal, LLC Used with permission. COPYRIGHT(2018) Kirkus Reviews, ALL RIGHTS RESERVED. Seventh grader Tally is many things: fiercely protective of her best friends, Spider and Sonnet; adopted (and proud of it); outspoken; confident; and very good at math. One thing she’s not is a “clonegirl,” like her nemesis, Ava, whose look comes straight from a fashion magazine. Instead, Tally dons funky glasses and outsize jewelry to show that she is an individual, not part of the pack. When their class goes to Washington, D.C., Tally is dismayed to learn that her roommate is Ava; Spider’s is Marco, the boy who bullied him last year; and Sonnet’s with Haley, one of the clonegirls. Tally vows to stick with her friends and protect them both from potential teasing, but once in D.C., things shift, leaving Tally unsure of her role for the first time and forcing her to reconsider Ava. Dee (Star-Crossed) sensitively portrays Tally’s fears about being left behind as friends change, as well as the signs and impact of the anorexia Ava is hiding. Readers will root for big-hearted Tally, whose willingness to speak her truth makes for honest and engaging narration. Ages 9–13. Agent: Jill Grinberg, Jill Grinberg Literary Management.